The Doctor has a long history of rebuking the Military, and not using the Military&apos;s machinery. 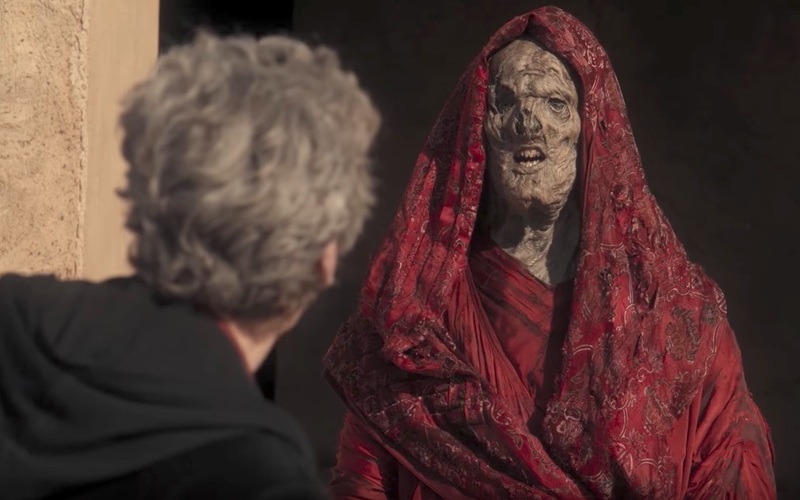 Here we see that a Pyramid has suddenly taken form in a desert place, that those crazy-looking Monks are the inhabitants, and the Doctor warning that these people have studied us for a looooong time, and then ordering an attack using military bombers. WTF? That&apos;s a good kind of threat -- you see the line in the sand, and if you know me you know you should keep me on the other side of this line.